Lululiz in Lalaland: Happy Easter! No chocolate eggs, sigh. They are rather rare here. I had some English wine gums instead. I will add your beautiful button to my blog. 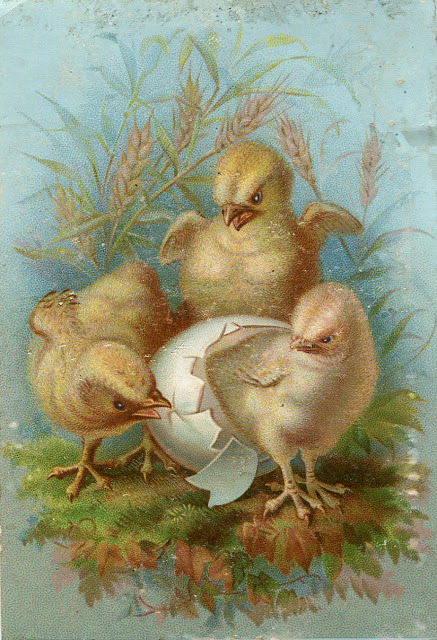 I love the vintage card💐 , little chicks are always sweet. Hope you had a beautiful Easter Sunday! Love the new look of your header!! !